The term ‘kinship’ care describes a type of care and living arrangement for a child who has to live away from his or her parental home, and is cared for full-time by a member of the child’s extended family or friend. A kinship care arrangement is one either initiated by a local authority or via a relative or friend, and could involve some sort of assistance or arrangement, including making decisions about legal orders, financial and social work support. The main reason for people becoming kinship carers is to avoid their loved ones’ children being taken into the care of the local authority. This, for the kinship carer, is something that has not necessarily been planned or even wanted, but never the less been done out of love, devotion, duty, commitment and all the right reasons for the child’s best interests. Feeling estranged from own age group and not fitting into resources for parents e.g. mother and toddler groups etc. There are many more difficulties, questions and emotions attached to kinship care. 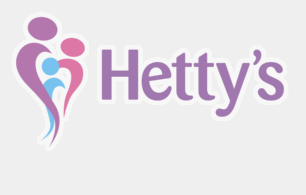 Hetty’s appreciate and understand the demanding emotional, physical, practical and financial implications of becoming and being a kinship carer. This has led us to providing a specialist kinship care worker, support package, (available on request) and this information leaflet. Give us a call for an informal chat or to book an appointment with our Kinship Care Worker.